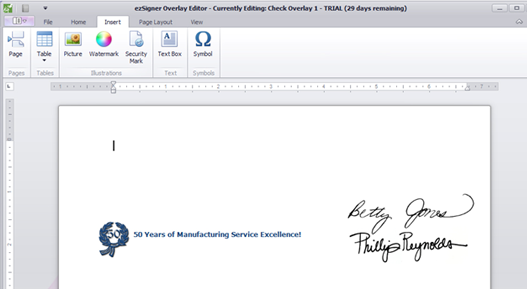 Product Catalog > Check Signing > Check Signing Software > EzSigner Direct, Check Signing Software. No need for a check signing machine! The most advanced check signing software available. 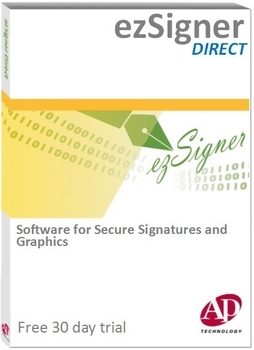 EzSigner Direct check signing software is a versatile and easy-to-use check signing solution. The #1 software in the market. Used by thousands of businesses worldwide. Designed by the #1 check processing software programming company. Trusted and recommended by the nations largest banks. Used to process over $80 billion a year. Whether you wish to sign your checks in one pass as the checks are being printed or sign your checks after they have been reviewed, EzSigner can accommodate your needs. EzSigner has password protection. All system and print activity is logged into audit and event logs. EzSigner keeps a log to track the user, date, time, and number of checks issued. 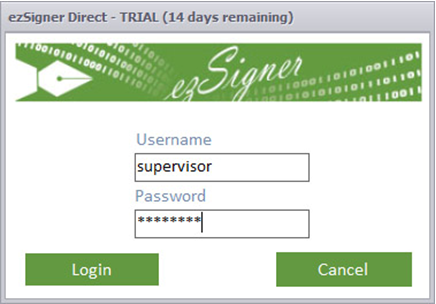 Securely sign documents at the time they are being printed by simply selecting the EzSigner printer driver, entering your password, and selecting your overlay. If you prefer the two pass method, open Ezsigner, choose your signatures, and click print. EzSigner replaces the need for expensive check signing machines by using your existing printer to add the signature. You add or modify signatures or graphics quickly and easily inside the encrypted password protected software. 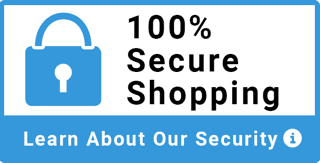 All your data is protected through state of art encryption software embedded in the program. Password Security - user name and password required for all graphics and signatures. Secure Tracking - complete secure log audit trail report. Track all printing events by username, date/time, and overlay used. One or Two Pass Signing - Securely sign checks as they are being printed or sign your checks after they have been reviewed. Unlimited Secure Signatures - Once loaded into the program, all signatures are encrypted to a proprietary format. Different signatures can be assigned to various checks. Add and store as many signatures as you wish. No need to purchase expensive signature plates ever again. Easy Editing- Import your own signatures and graphics or let us help you. Provides import capabilities for most graphic formats: .bmp, .dib, .jpg, .jpeg, .png, .gif, .tif, .tiff, .emf, .wmf. Signature Watermark - A security watermark can be placed behind your signature. Compatibility - compatible with all laser printers. Completely independent of system and application software. Your trial copy is ready to use to sign your checks. When you decide on EzSigner, simply register your copy and EzSigner becomes fully functional. Please call 800-560-2242 or contact us for any download installation questions. 1 GB of RAM recommended or the minimum requirements for the Windows OS. 1 GB available of Hard Drive. 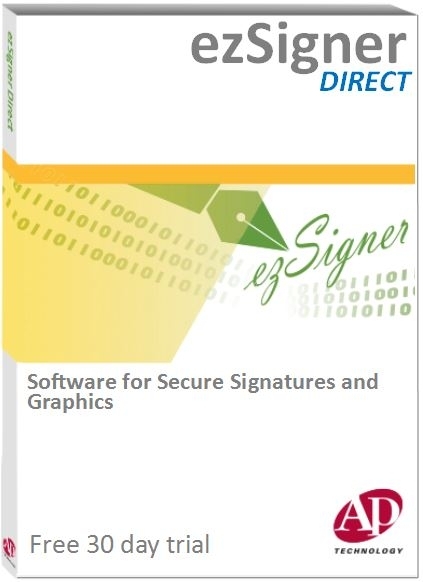 Specifications for EzSigner Direct, Check Signing Software. No need for a check signing machine!